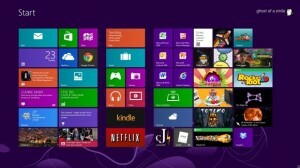 Windows 8 is the latest, totally reworked Microsoft operating system. Even though Microsoft’s developers did a lot to improve overall stability of the new Windows, there is still a lot you can do in terms of maintenance to make your new Windows 8 stay fast. Here are essential Windows 8 maintenance tips that you should know. If you want, select the option for the system to wake your computer for maintenance. While Windows 8’s interface is modern and pretty, a lot of users are missing the good old Start menu. If you are one of them, install Start8 – a free app from Stardoc, and the traditional Windows Start button and Start menu will be back. Windows 8 likes to keep your display clean and simple, which is a good thing. However, it comes at a cost and some folders you may be used to having, like Control Panel, Recycle Bin and others, are missing. You can make Windows 8 show them by clicking View, going to Options, checking Show all folders and clicking OK. Even though Windows 8 is pretty fast, it does slow down with use, just like any other Windows version. Regularly scanning it with a reliable Windows 8 registry cleaner will help you keep your new OS fast and stable.